By accessing or using the LearnHealth Network, you accept and agree to be bound and abide by these Terms. Accordingly, these Terms govern your use of the Services and create a binding legal agreement that LearnHealth, Inc. or its parents or subsidiaries (collectively, “LearnHealth”, “we” or “us”) may enforce against you in the event of a violation of any such Terms. If you do not want to agree to these Terms, you must not access or use the LearnHealth Network, including the Services. 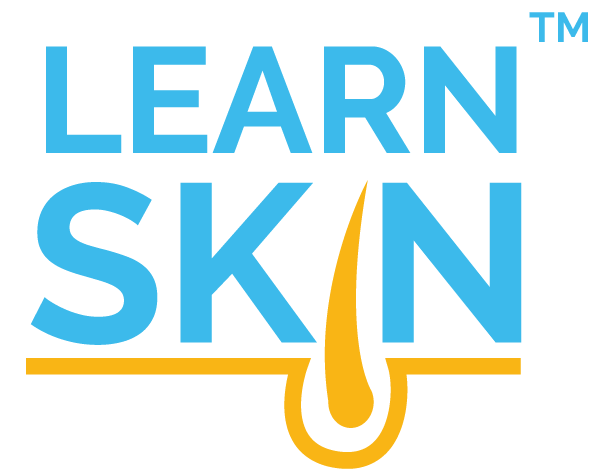 The LearnHealth Network includes the websites LearnSkin.com, Dermveda.com, IntegrativeSkinSymposium.com, and Skintegrative.com (the "LearnHealth Sites") and the LearnHealth mobile device applications (the "LearnHealth Apps" and, together with the LearnHealth Sites, the "LearnHealth Network"). You are solely responsible for maintaining the confidentiality and security of your LearnHealth account username and password. You acknowledge that your LearnHealth Network account is personal to you and agree not to permit any other person to use your username and password to access the Services. You are responsible for all activity that occurs under your LearnHealth Network account. If you believe that the security of your LearnHealth Network account information has been compromised, you should immediately change your username and password through the account settings feature and notify us. We shall have no liability for any unauthorized access to, or use of, your LearnHealth Network account information. You also agree to ensure that you exit from your LearnHealth Network account at the end of each session. You should use particular caution when accessing your LearnHealth Network account from a public or shared computer so that others are not able to view or record your username, password or other personal information. The Services are intended for physicians and other healthcare and skin care professionals. By using the Services, you represent and warrant that you have the right, authority, and capacity to agree to and abide by these Terms and that you are not prohibited from using the Services or any portion thereof. The information and tools that we make available through the Services are provided for educational and informational purposes only. While we hope you find the Services useful to you as a healthcare professional, they are in no way intended to serve as a diagnostic service or platform, to provide certainty with respect to a diagnosis, to recommend a particular product or therapy or to otherwise substitute for the clinical judgment of a qualified healthcare professional. You agree that you will not use the Services with the intention of creating any kind of physician/patient relationship, e.g., to diagnose or treat users. You are solely responsible for evaluating the information obtained from the Services and for your use or misuse of such information in connection with your treatment decisions or otherwise. You agree that you shall be solely responsible for your compliance with all applicable laws and standards of professional practice applicable to you and the practice of medicine or other relevant health profession. If you are a consumer who chooses to access the professional-level information made available through the Services, you should not rely on that information as professional medical advice or use the Services as a replacement for any relationship with your physician or other qualified healthcare professional. For medical concerns, including decisions about medications and other treatments, consumers should always consult their physician or, in serious cases, seek immediate assistance from emergency medical personnel. Subject to your compliance with these Terms, you are granted a limited, non-exclusive, non-transferable and non-sublicensable license to use the Services and to view the information and materials made available through the Services, including User Content, as defined below, ("LearnHealth Content") solely for your personal and professional use. You shall not use, copy, adapt, modify, prepare derivative works based upon, distribute, license, sell, transfer, publicly display, publicly perform, transmit, stream, broadcast or otherwise exploit the Services, LearnHealth Content, the LearnHealth Sites or the LearnHealth Apps, except as expressly permitted in these Terms. All rights not expressly granted herein are reserved to LearnHealth and their respective licensors, as applicable. The LearnHealth Network may include content provided by third parties, including materials provided by other users, bloggers, and third-party licensors, syndicators, aggregators and/or reporting services, all of which are not part of the LearnHealth Network. All statements and/or opinions expressed in these materials, and all articles and responses to questions and other content, other than the content provided by LearnHealth, are solely the opinions and the responsibility of the person or entity provided those materials. These materials do not necessarily reflect the opinion of LearnHealth. We are not responsible, or liable to you or any third party, for the content or accuracy of any materials or content provided by any third parties. Use any of the LearnHealth Sites, LearnHealth Apps, Services or LearnHealth Content in any manner not permitted by these Terms. You are solely responsible for ensuring that the User Content that you make available through the Services complies with applicable laws including, without limitation, those relating to privacy, and also best clinical and ethical practices. Prior to submitting any User Content to the Services, you must remove any information that identifies an individual or could reasonably enable the identification of an individual, e.g., name, address, e-mail address, social security number, telephone number, insurance number or other unique identification number, biometric identifiers, facial photographs, photographs of identifying marks such as tattoos or scars. You shall be solely responsible for any claims arising from your failure to de-identify User Content that you submit through the Services. gives the impression that they emanate from or are endorsed by us or any other person or entity, if this is not the case. We are not responsible or liable to any third party for any User Content posted by you or any other user of the LearnHealth Network and/or Services. You acknowledge and agree that the LearnHealth Network and any software used in connection with the LearnHealth Network (the "Software") contain proprietary and confidential information that is protected by applicable intellectual property and other laws. You further acknowledge and agree that the LearnHealth Content is protected by copyrights, trademarks, service marks, patents or other proprietary rights and laws. Except as expressly permitted by applicable law or as authorized by us or the applicable licensor, you agree not to modify, rent, lease, loan, sell, distribute, transmit, broadcast, publicly perform, create derivative works from, or "scrape" for commercial or any other purpose, the LearnHealth Network, the LearnHealth Content or the Software, in whole or in part. Any use of the LearnHealth Network, the LearnHealth Content or the Software not expressly permitted by these Terms is a breach of these Terms and may violate our and third parties' intellectual property rights. You may view information provided through the Services online, download individual articles to your computer or mobile device for later reading or print a copy of an article for yourself. You may not remove any copyright notices from our materials. You agree not to access the Services by any means other than through the interface that is provided by us for use in accessing the Services. We may update the content on the LearnHealth Network from time to time, but its content is not necessarily complete or up-to-date. Any of the material on the LearnHealth Network may be out of date at any given time, and we are under no obligation to update such material. Link from your own or certain third-party websites to certain content on the LearnHealth Network. Send emails or other communications with certain content, or links to certain content, on the LearnHealth Network. Cause limited portions of content on the LearnHealth Network to be displayed or appear to be displayed on your own or certain third-party websites. Cause the LearnHealth Network or portions of it to be displayed on, or appear to be displayed by, any other site, for example, framing, deep linking, or in-line linking. Otherwise take any action with respect to the materials on the LearnHealth Network that is inconsistent with any other provision of these Terms. If the LearnHealth Network or any portion of it contains links to other sites and resources provided by third parties, these links are provided for your convenience only. This includes links contained in advertisements, including banner advertisements and sponsored links. We have no control over the contents of those sites or resources, and accept no responsibility for them or for any loss or damage that may arise from your use of them. If you decide to access any of the third party websites linked to the LearnHealth Network or any portion of it, you do so entirely at your own risk and subject to the terms and conditions of use for such websites. Your correspondence or business dealings with, or participation in promotions of, advertisers or other third parties found on or through the Services, including requests for and delivery of goods or services, and any other terms, conditions, warranties or representations associated with such dealings, are solely between you and such third party. You agree that we shall not be responsible or liable for any loss or damage of any sort incurred as the result of any such dealings or as the result of the introduction of such third parties through the Services. You agree that we may, under certain circumstances and without prior notice, discontinue, temporarily or permanently, the Services (or any part thereof) or eliminate your LearnHealth Network account and remove or take any other action with respect to any User Content that you have made available through the Services, with or without notice, for any of the following reasons (which are not intended to be exclusive): (a) breaches or violations of these Terms or other incorporated agreements or guidelines, (b) requests by law enforcement or other government agencies, (c) a request by you, (d) discontinuance or material modification to the Services (or any part thereof), (e) technical or security issues or problems, (f) extended periods of inactivity and (g) your engagement in fraudulent or illegal activities. You agree that all terminations for cause shall be made at our sole discretion, and we shall not be liable to you or any third party for any termination of your LearnHealth Network account or access to the Services. Without limiting the foregoing, we have the right to fully cooperate with any law enforcement authorities or court order requesting or directing us to disclose the identity or other information of anyone posting any materials on or through the LearnHealth Network. YOU WAIVE AND HOLD HARMLESS LEARNHEALTH FROM ANY CLAIMS RESULTING FROM ANY ACTION TAKEN BY LEARNHEALTH DURING, OR TAKEN AS A CONSEQUENCE OF, INVESTIGATIONS BY EITHER LEARNHEALTH OR LAW ENFORCEMENT AUTHORITIES. However, we do not undertake to review material before it is posted on the LearnHealth Network, and cannot ensure prompt removal of objectionable material after it has been posted. Accordingly, we assume no liability for any action or inaction regarding transmissions, communications, or content provided by any user or third party. We have no liability or responsibility to anyone for performance or nonperformance of the activities described in this section. You understand that we cannot and do not guarantee or warrant that files available for downloading from the internet or the LearnHealth Network will be free of viruses or other destructive code. You are responsible for implementing sufficient procedures and checkpoints to satisfy your particular requirements for anti-virus protection and accuracy of data input and output, and for maintaining a means external to our site for any reconstruction of any lost data. WE WILL NOT BE LIABLE FOR ANY LOSS OR DAMAGE CAUSED BY A DISTRIBUTED DENIAL-OF-SERVICE ATTACK, VIRUSES OR OTHER TECHNOLOGICALLY HARMFUL MATERIAL THAT MAY INFECT YOUR COMPUTER EQUIPMENT, COMPUTER PROGRAMS, DATA OR OTHER PROPRIETARY MATERIAL DUE TO YOUR USE OF THE LEARNHEALTH NETWORK OR ANY SERVICES OR ITEMS OBTAINED THROUGH THE LEARNHEALTH NETWORK OR YOUR DOWNLOADING OF ANY MATERIAL OR CONTENT POSTED ON IT, OR ON ANY WEBSITE LINKED TO IT. YOUR USE OF THE LEARNHEALTH NETWORK, THE LEARNHEALTH CONTENT AND THE SERVICES IS AT YOUR OWN RISK. THE LEARNHEALTH NETWORK, THE LEARNHEALTH CONTENT AND THE SERVICES ARE PROVIDED ON AN “AS IS” AND “AS AVAILABLE” BASIS, WITHOUT ANY WARRANTIES OF ANY KIND, EITHER EXPRESS OR IMPLIED. NEITHER LEARNHEALTH NOR ANY PERSON ASSOCIATED WITH LEARNHEALTH MAKES ANY WARRANTY OR REPRESENTATION WITH RESPECT TO THE COMPLETENESS, SECURITY, RELIABILITY, QUALITY, ACCURACY OR AVAILABILITY OF THE LEARNHEALTH NETWORK, THE LEARNHEALTH CONTENT OR THE SERVICES. WITHOUT LIMITING THE FOREGOING, NEITHER LEARNHEALTH NOR ANYONE ASSOCIATED WITH LEARNHEALTH REPRESENTS OR WARRANTS THAT THE LEARNHEALTH NETWORK, THE LEARNHEALTH CONTENT OR THE SERVICES WILL BE ACCURATE, RELIABLE, ERROR-FREE OR UNINTERRUPTED, THAT DEFECTS WILL BE CORRECTED, THAT THE LEARNHEALTH NETWORK OR THE SERVER THAT MAKES IT AVAILABLE ARE FREE OF VIRUSES OR OTHER HARMFUL COMPONENTS OR THAT THE LEARNHEALTH NETWORK OR THE SERVICES WILL OTHERWISE MEET YOUR NEEDS OR EXPECTATIONS. YOU UNDERSTAND THAT WE DO NOT ASSUME RESPONSIBILITY FOR SCREENING ANY USER OF THE LEARNHEALTH NETWORK NOR DO WE VERIFY OR TAKE RESPONSIBILITY FOR USER CONTENT. WE DO NOT PROVIDE MEDICAL ADVICE AND WE DO NOT RECOMMEND OR ENDORSE ANY SPECIFIC PRODUCTS, PRODUCT USERS, THERAPIES, TESTS, PHYSICIANS, HEALTHCARE PROFESSIONS OR OPINIONS. LEARNHEALTH HEREBY DISCLAIMS ALL WARRANTIES OF ANY KIND, WHETHER EXPRESS OR IMPLIED, STATUTORY OR OTHERWISE, INCLUDING BUT NOT LIMITED TO ANY WARRANTIES OF MERCHANTABILITY, NON-INFRINGEMENT AND FITNESS FOR PARTICULAR PURPOSE. THE FOREGOING DOES NOT AFFECT ANY WARRANTIES WHICH CANNOT BE EXCLUDED OR LIMITED UNDER APPLICABLE LAW. TO THE FULLEST EXTENT PROVIDED BY LAW, IN NO EVENT WILL LEARNHEALTH, ITS AFFILIATES, OR THEIR LICENSORS, SERVICE PROVIDERS, EMPLOYEES, AGENTS, OFFICERS, OR DIRECTORS BE LIABLE FOR DAMAGES OF ANY KIND, UNDER ANY LEGAL THEORY, ARISING OUT OF OR IN CONNECTION WITH YOUR USE, OR INABILITY TO USE, THE LEARNHEALTH NETWORK OR ANY PORTION OF IT, THE SERVICES, ANY LEARNHEALTH CONTENT, ANY WEBSITES LINKED TO IT OR SUCH OTHER WEBSITES, INCLUDING ANY DIRECT, INDIRECT, SPECIAL, INCIDENTAL, CONSEQUENTIAL, OR PUNITIVE DAMAGES, INCLUDING BUT NOT LIMITED TO, PERSONAL INJURY, PAIN AND SUFFERING, EMOTIONAL DISTRESS, LOSS OF REVENUE, LOSS OF PROFITS, LOSS OF BUSINESS OR ANTICIPATED SAVINGS, LOSS OF USE, LOSS OF GOODWILL, LOSS OF DATA, AND WHETHER CAUSED BY TORT (INCLUDING NEGLIGENCE), BREACH OF CONTRACT, OR OTHERWISE, EVEN IF FORESEEABLE. You agree to defend, indemnify, and hold harmless LearnHealth, its affiliates, licensors, and service providers, and its and their respective officers, directors, employees, contractors, agents, licensors, suppliers, successors, and assigns from and against any claims, liabilities, damages, judgments, awards, losses, costs, expenses, or fees (including reasonable attorneys' fees) arising out of or relating to your violation of these Terms or your access to or use of the LEARNHEALTH Network, the Services or the LearnHealth Content. ANY CAUSE OF ACTION OR CLAIM YOU MAY HAVE ARISING OUT OF OR RELATING TO THESE TERMS OR THE LEARNHEALTH NETWORK, THE SERVICES OR THE DERVEDA CONTENT MUST BE COMMENCED WITHIN ONE (1) YEAR AFTER THE CAUSE OF ACTION ACCRUES, OTHERWISE, SUCH CAUSE OF ACTION OR CLAIM IS PERMANENTLY BARRED. We may terminate the LearnHealth Network accounts of users who we determine to be repeat infringers. We reserve the right to modify, discontinue or terminate any of the Services, the LearnHealth Network, the LearnHealth Content or these Terms from time to time in our sole discretion and without prior notice. If we modify these Terms in a material way, we will provide notice of such modification within the LearnHealth Network. All changes are effective immediately when we post them and apply to all access to and use of the LearnHealth Network and the Services thereafter. Your continued use of the LearnHealth Network and/or the Services after the posting of the revised Terms means that you accept and agree to be bound by the modified Terms. If the modified Terms are not acceptable to you, you agree to immediately stop using the LearnHealth Network and the Services. You are expected to check this page periodically so you are aware of any changes, as they are binding on you. All matters relating to the LearnHealth Network, the Services, the LearnHealth Content and these Terms and any dispute or claim arising therefrom or related thereto (in each case, including non-contractual disputes or claims), shall be governed by and construed in accordance with the internal laws of the State of California without giving effect to any choice or conflict of law provision or rule (whether of the State of California or any other jurisdiction). Any legal suit, action, or proceeding arising out of, or related to, the LearnHealth Network, the Services, the LearnHealth Content or these Terms shall be instituted exclusively in the federal courts of the United States or the courts of the State of California in each case located in the City and County of Sacramento. You waive any and all objections to the exercise of jurisdiction over you by such courts and to venue in such courts. Any notices or other communications permitted or required hereunder, including those regarding material modifications to these Terms, will be in a written form and given: (i) by us via email (in each case to the email address included in your Registration Information); or (ii) by posting within the LearnHealth Network. For notices made by e-mail, the date of receipt will be deemed the date on which such notice is transmitted. No waiver of by LearnHealth of any term or condition set out in these Terms shall be deemed a further or continuing waiver of such term or condition or a waiver of any other term or condition, and any failure of LearnHealth to assert a right or provision under these Terms shall not constitute a waiver of such right or provision. If any provision of these Terms is held by a court or other tribunal of competent jurisdiction to be invalid, illegal or unenforceable for any reason, such provision shall be eliminated or limited to the minimum extent such that the remaining provisions of these Terms will continue in full force and effect. All provisions of these Terms shall survive termination of your LearnHealth Network account except for your license to access and use the Services and the LearnHealth Content. All feedback, comments, questions, requests for technical support, and other communications relating to the LearnHealth Network, the Services or the LearnHealth Content, or these Terms, should be directed to: admin@learnhealth.com. By submitting feedback and suggestions, you grant to us a non-exclusive, perpetual, irrevocable, and royalty-free license to any intellectual property rights you may have in such feedback and suggestions to use to improve the LearnHealth Network, the Services or the LearnHealth Content.